Angela has been employed with us since January 2011, progressing all the way up the ranks from fire crew helper to Production Manager. She holds the following certifications from the Institute of Inspection Cleaning and Restoration Certification (IICRC): Fire & Smoke Restoration, Water Damage Restoration, Applied Structural Drying, Carpet Cleaning, as well as certifications in Biohazard and Content Processing & Handling. In her free time, she enjoys spending time with her family. She gives back to her community by participating in our annual tradition of putting up Christmas lights at the Amarillo Children's Home. 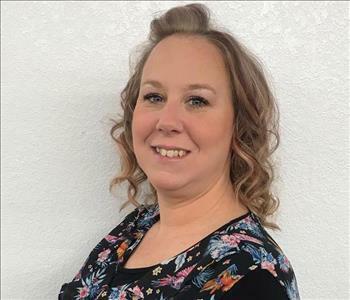 After 8 years of employment with us, her favorite part of the job is that she is the first one on the scene to help and comfort our customers in their time of desperate need. She is determined, hardworking, and is ultimately the glue that holds us together! 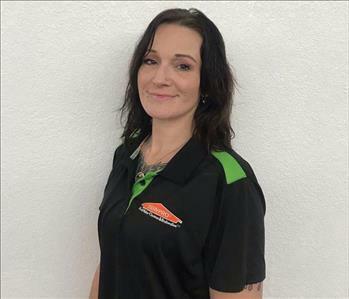 Brandy is the Office Manager at SERVPRO of West Amarillo. She has 3 years of restoration experience and has been with us for 3 years as well. She has the following certifications from the IICRC: Water Removal Technician. 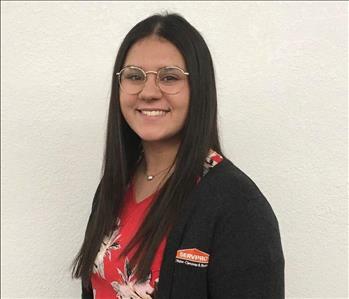 She involves herself in the community by volunteering at the Food Bank and Snack Pack for Kids, feeding the homeless, and organizing our yearly Christmas decorating at Amarillo Children's Home. Her hobbies include: reading, gardening, cooking and baking. She and her significant other of 16 years are the proud parents of 2 kids, a boy and a girl, and a 220 pound gentle giant (English Mastiff) named Hoss. 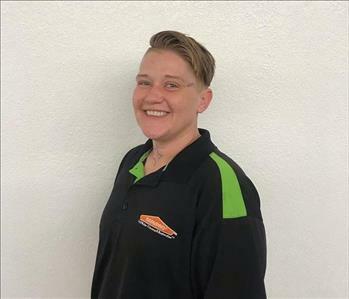 Kinzie joined SERVPRO of West Amarillo's office team in September of 2018. In her free time, Kinzie enjoys hanging out with her fiancé, Jordan, and their fur baby, Max. She is a member at Triumphant Truth Church and has been for the last 10 years. Her favorite part about working here is learning new skills every day that will last for a lifetime, building positive relationships that will further her success, and of course, helping our customers! 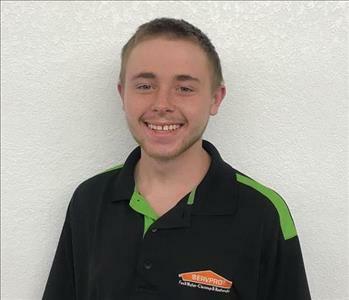 Jordon Maxwell is one of our Production Technicians here at SERVPRO of West Amarillo. 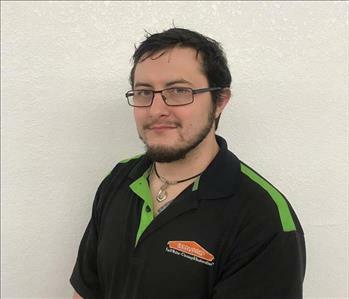 He has been with us since June of 2017, making him an experienced and trustworthy technician. 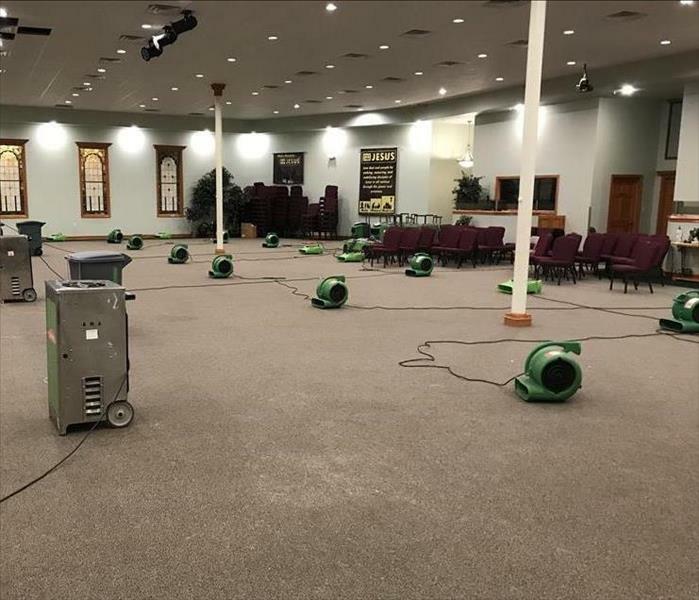 Jordon holds the following certifications from the Institute of Inspection Cleaning and Restoration Certification (IICRC): Water Damage Restoration. In his free time, Jordan enjoys playing basketball and shooting guns. His favorite part about working here is that he does something different every day! Tori is a Production Technician that joined our team nearly a year ago. She is very loud, fun, easygoing, and hardworking. Tori holds the following certifications from the Institute of Inspection Cleaning and Restoration Certification (IICRC): Fire and Smoke Restoration. In her free time, she enjoys exercising and watching movies. She gives back to our community by participating in our annual tradition of hanging Christmas lights at the Amarillo Children's Home. 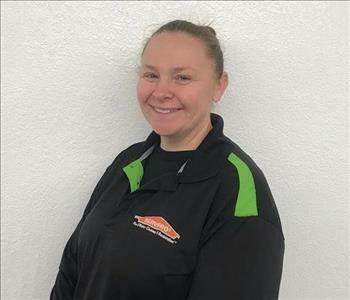 Her favorite part about working at SERVPRO of West Amarillo is helping others in a time of need. We are thankful to have her! Kristen Johnson is one of our skilled Production Technicians. Kristen enjoys jewelry making and art in her free time. 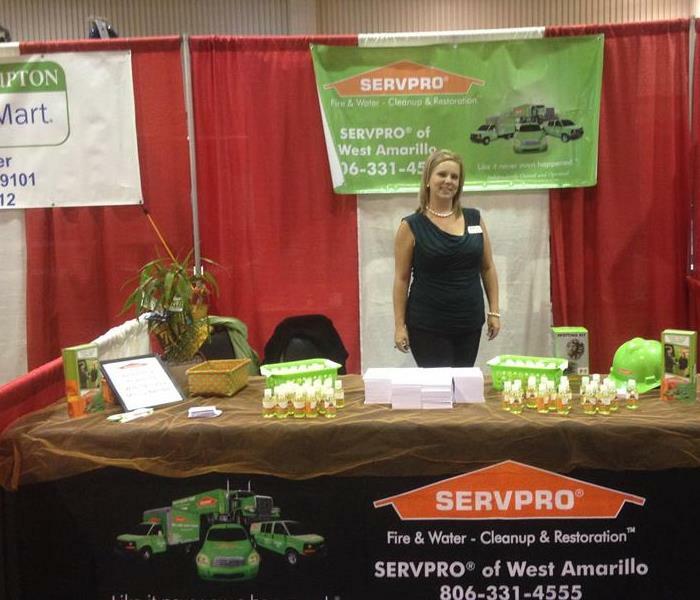 She loves working for SERVPRO of West Amarillo because she gets to do something different and interesting every day! She has been with us since September 2018 and has been an awesome addition to the team! 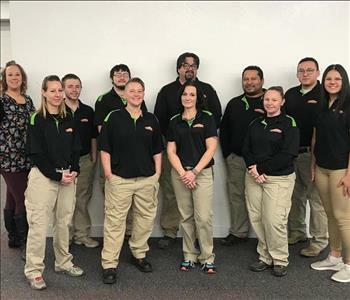 Heath is a new addition SERVPRO of West Amarillo's Production Technician team! He has experience in the restoration business as well as a passion for this field of work. He enjoys playing music in his free time. His favorite part about working for us is performing carpet cleans. We are glad to have Heath on our team! Daniel Tena is yet another one of our skilled and professional Production Technicians. 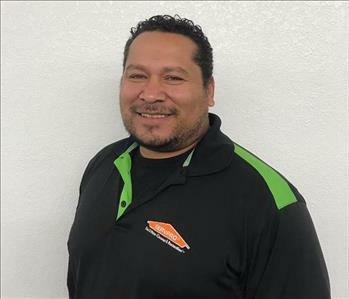 He has been with SERVPRO of West Amarillo since September of 2018. In his free time, Daniel enjoys hiking, biking, exercising, dancing, and giving back to his community through Texas Equality. He enjoys his job here at SERVPRO because he loves the people he works with as well as the people he meets along the way with each new job! 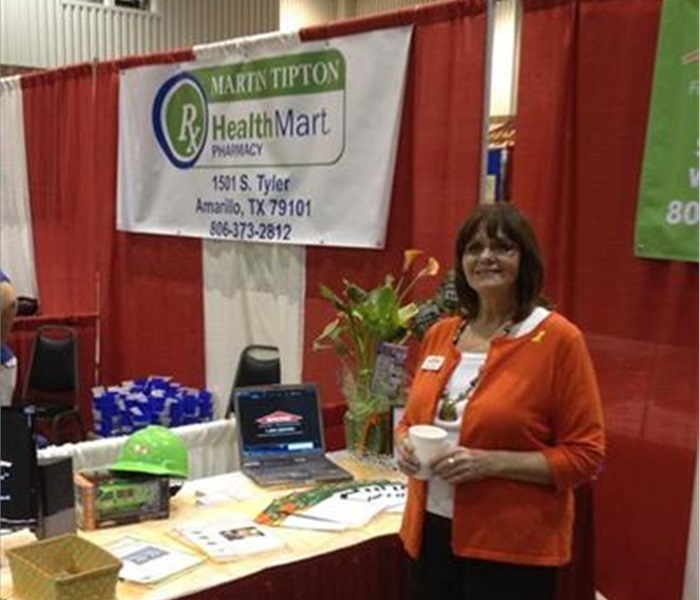 Marketing Rep Cathy Chumney at the Amarillo Chamber of Commerce Business Connection event. Marketing Representative Jessica Smith mans our booth at Business Connection 2015.